In what appeared to be a classic tale of someone who cut her nose to spite her face, a heartless mother who felt the best way to deal with a husband for failing to provide for the family was to poison their two children that subsequently killed one of them, the son, is facing the wrath of the law. The incident took place last December in Kolo, Ogbia Local Government area, Bayelsa State, where 32 year old Helen Okwata Azibabeh forced her two children to drink Parafox, a popular herbicide used for curbing weeds. Innocent, was not so lucky as he died instantly after swallowing the lethal substance. 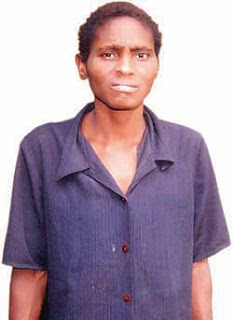 Azibabeh’s atrocity was subsequently discovered by her elder sister who promptly reported to the police when she ran to her for help. Bayelsa State Commissioner of Police, Mr. Amba Asuquo, confirmed the transfer of the case to the homicide section of the State Criminal Investigation Department where the suspect is languishing in detention. He told Saturday Sun of the suspect’s claim that frustration arising from her husband’s failure to buy Christmas dresses for her and her children triggered her homicidal instinct. When Saturday Sun spoke with the suspected murderess, she stressed that her anger was really directed at her husband. “I used to have two children. I killed one by myself, now I am left with only one. I want God to forgive me and intervene in my life. I have learnt my lesson. Nigerians should forgive me,” she wailed.According to CP Asuquo, police have recovered the poisonous substance, but the corpse of the two- year -old victim would not be buried until after a postmortem. The suspect is to be charged to court for murder as soon as investigation is concluded, the police boss said. “In the meantime, she will continue to be in police custody,” said Assistant Commissioner of Police, Mr. Ahmed Abdul of the State Criminal Investigation Department. » Man Allegedly Poisons Neighbour’s Pot Of Soup To Wipe Out Family .